Many CMS infections are due to the StealRat botnet, it should be the first to check. This link is a Trend Micro PDF describing the infection in copious detail. While the PDF should be consulted for full information, checking for mysterious/unexplained PHP scripts in wp-content/plugins (if you're running Wordpress) directories should get you started. This link has instructions for a more directed search for it. If the above doesn't work, don't assume you are not infected. The Malware may have changed, or you didn't search the right directories. Keep searching. Our findbot perl script has been enhanced to find Stealrat. However, we cannot guarantee that findbot.pl will find all copies of malware. New: MELANI is a Swiss computer security/analysis center, and the link has general instructions on how to clean up CMS (Content Management Systems like Drupal or Wordpress) sites from infection. If you are running Drupal, make sure that the patches referred to here are applied. If you're running Drupal you should upgrade to the latest versions. Of late some of these infections are facilitated by a SSH Rootkit called "ebury". See the link for more detail. In most cases, this IP address would be that of a shared hosting environment. If you are a customer of this environment, you will almost certainly not be able to do anything about it, only the administrators of the hosting environment itself can. Please contact your administrators, and refer them to this page. If the administrators are reluctant to do anything please try to convince them, because there is nothing you can do to fix this problem. Your task is to find the current problem, fix it, and prevent it from happening again. The first line, for example, is your sendmail mail software "LISTEN"ing (as userid root) for inbound email connections - this is normal. The second line is sendmail "caught" at the moment of sending an email (as userid "mail") from your machine to a hotmail server - that is also perfectly normal. You may see similar lines with "exim" or "postfix" or "smtpd" or "qmail" instead of sendmail - all depending on what mail server you run - example - the third line is an Exim listener. The important thing that indicates that it's normal is that the userid is "mail" or "mailman" or something like that - NOT an ordinary user. The fourth line is a program called "find", running under userid "foo" making a connection to an AOL server. It's examples like the fourth line you're looking for - it tells you the userid of the infected user. In this case it also indicates that the infection is masquerading as the program "find". There will often be more than one of these. Simply killing these processes is NOT enough, because they will often restart on their own. You will need to find whether these are started by a cron job owned by that user, or, spawned through your web server, or started from a ssh login. Find and delete the program - often a PHP or Perl script. In some cases, however, the program deletes itself as soon as it starts. The "find" example above is a Linux binary executable that contains an encrypted perl script. Since this was first written, it now sometimes masquerades as "mail" or "ntpd". Assume it could be anything. You will also need to find out how the script got installed on your machine - often through Joomla, Wordpress, Cpanel or Plesk security holes, or ftp upload and secure it. There is a new version of findbot that should find CryptoPHP faster and simpler - try the -c option. There are a number of scanners that can be used on web servers to try to find malicious PHP and Perl scripts, such as rkhunter etc. With the assistance of others, we've written a simple perl script called findbot.pl that searches for such things as r57shell, cryptphp etc. It will search your system can find potentially dangerous scripts. As it is very simple-minded you will have to carefully inspect the files it finds to verify whether what it finds is malicious or not. Be aware of the file types - finding executable code fragments within ".png" or ".jpg" files is clearly demonstrates that the file is malicious. In order to use findbot.pl, you will need Perl installed. Suhosin may be a useful tool to protect your PHP environment from various malware. Many of these infections start themselves running, and then remove themselves from disk. Which means you won't be able to find it. Check your ftp and SSH logs for suspicious files and logins. This is why it's so important to prevent it happening again. One additional way of finding this infection that works for some variants is to run the "file" command (you may have to install it - eg: "sudo apt-get install file") on the suspicious program. If you find such a file, please send us copies. The Windows environment is rather less developed for finding these things than UNIX-like systems. However, we can recommend the tcpview tool, so please see tcpview/tcpconn in our advanced section. Most of these scripts are quite good at hiding their presence. Some of them start up, and them remove the on-disk copy, so there's nothing to see. None of them volunteer where they are, so samples don't help. Most of these scripts bypass your mail server software, so there is nothing to see in the mail logs or queues. However, they all do need to get on your system somehow, and that often leaves logs. If you can find those log records, often that will help you identify the infected user and find the malicious files (if they are still there). 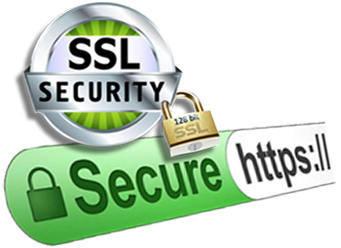 Web sites often make FTP or SSL available so their customers can upload content or log in to manage their web pages. If the customer's computer is compromised with a keylogger, it means that the criminal can upload anything they want. You can usually see this activity in your FTP or SSL logs - look for uploads of .php or .pl files, lots of oddly named files, access from a large variety of IP addresses, etc. If you do find something like this, it's important to get the user to change their password, and do virus scans of their computers. Check your web server for large quantities of requests to the same PHP or CGI or Perl file, or POST commands, etc... This can reveal where the infection is, and often how it got there. Make absolutely certain that ALL CMS software (Joomla, Cpanel, Wordpress, Plesk etc) is kept up to date at all times. Do not let your users make any excuses for not doing so. Make it impossible for such infections (and they will happen again) to spam the world by implementing the blocking of email sent direct from the machine without going through your mail server. Some of your customers may believe that they need to be allowed to do this. The best answer for them is to configure their software to relay it through the mail server software on the machine or to an external smart-host. For blocking: With Cpanel you can use ConfigServer Security Firewall (CSF). It's free. CSF has the "SMTP_BLOCK" configuration option - turn it on. Basic Cpanel, there's also "WHM SMTP Tweak" would should also help. The above permits users to send mail via a local mail server, permits local mail server software (running under userid root, or gid mail or mailman) to send email to the Internet, but prevents any ordinary user making direct SMTP connections to the Internet. You may have to adjust this for Qmail or Exim. Check which userids are used. Note that the iptables settings will probably be lost next time you reboot. Many versions of Linux (Debian, Ubuntu etc) have a package called "iptables-persistent". You can install this package ("sudo apt-get install iptables-persistent") and manage your boot-time iptables entries using it. If you're using cPanel and APF, APF by default will wipe out iptables rules you enter manually leaving the server vulnerable. If you are using APF, you should make the above change via APF and that will take care of reissuing the commands upon reboot or reset. Do you really need PHP script support? CGI support? PHP mail functions? Turn off the ones you don't need. Some people, for example, turn off CGIs, and PHP "fsocketopen" or "exec" functions in the PHP ini files (either for the whole site, or individual environments), and manage to inhibit many infections. Some of these scripts get installed into /tmp. If /tmp is a separate file system, you can stop it being used by malicious scripts by adjusting the /etc/fstab file to mount /tmp with the "noexec" and "nosuid" flags. This means that the O/S will not run programs that are in the /tmp directory nor treat them as setuid. Turn off customer FTP if you don't need it. Note that some CMS packages install FTP with anonymous FTP turned on by default. This is ALWAYS a bad idea, so make sure "anonymous login" is turned off. It is necessary to force password changes on those users whose web sites have been compromised. If you can't tell exactly which users have been compromised, it's strongly recommended you change all passwords.